The first track ever played @josies was stevie wonder "isnt she lovely"
I went to Josephines a few times - usually went in the wine bar section though. I thought it never recovered from the shooting outside a few years before it closed. Plus it had a strange reputation for being the hang out of rich blokes and prostitutes ? 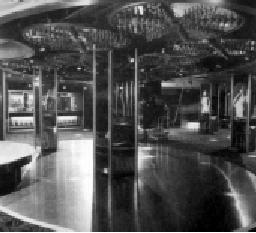 Never went - but one of my mates at the time went down there 'on the pull' He saw a girl dancing so wandered over, started the chat and was getting along fine until she asked him what he did for a living. He told her he was a mechanic, at which point she said "Oh, thats no good for me" and walked off. Had she had the manners to stay and finish the dance with him she may have learned that he actually owned a couple of garages and drove a brand new jag, but from what I gather that summed up the sort of place it was at the time. Would have loved to have seen his face when that happened to him.. This just caught my eye while looking through some old magazines this Ad is from 1984. I might have to get the old scanner out myself this weekend ! That comment made me laugh because I know exactly what you mean. 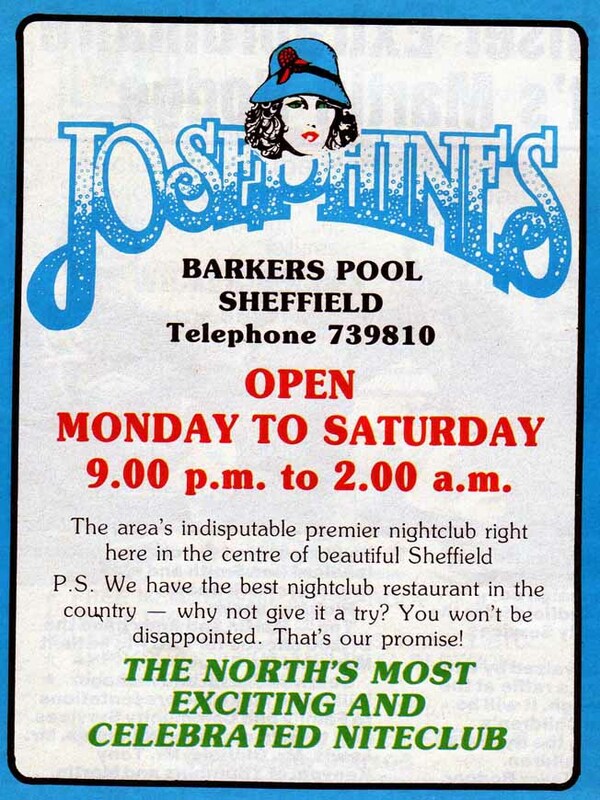 Josephines did have a clientale that hasnt been replicated since. It was mainly for older very rich men (with their Porsche key rings, Gucci wallets, fake tan, medalion man style hairy chest and designer suits) and trendy younger wannabee's men wearin their designer clothes (oops that probably describes me at the time) etc. Many of the women were like footballers wives. They tended to be very attractive, full of make-up and wearin cocktail dresses etc. I used to go quite alot and there were some people that used to go religiously every single week 52 weeks out of the year. I used to often go to the Monday R n B night too. It was a bit surreal as it was full of black men and pretty blondes not wearing much. The music was great and it had quite a chilled atmosphere, but it felt a bit like going into a gentlemans club. I half expected some of the women to start pole dancing etc. Yeh there was some weird stuff going on there. You'd often see some Hugh Hefner type guy (obviously pensioner age) and he'd be in the cocktail bar surrounded by all these page 3 models. They'd be several buckets of chilled champaigne and the women would be all over this guy (must admit I was envious). I would be lurking around to see if I could get chattin to some of these beauties but they were oblivious and didn't even notice I was there. Maybe I should have bought a Porsche key ring, it did cross my mind, . 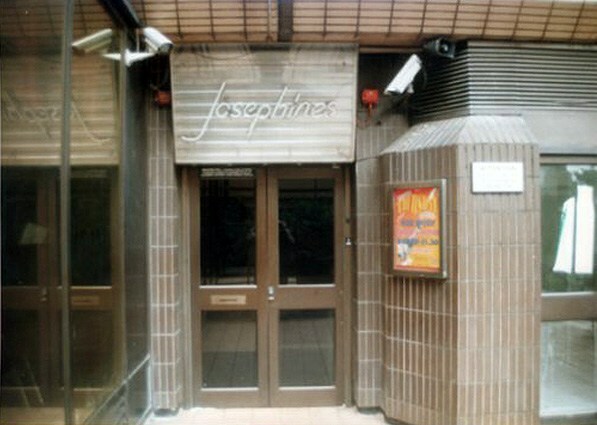 Some of my friends used to love Josephines as there were alot of posh model types that use to go. For us men there were lots and lots of eye candy. But it was all very superficial and people used to just stand there posing, funny when you think about it. My motivation wasn't to pose, to pull or to be with the 'in crowd' - I just went along there with my boss (big joe - used to own Gossips bar) after work each night and got spoilt rotten by him. My brother has just given a quick summary of the Sheffield niteclub scene. Its a bit of a generalisation but theres a element of truth behind it, thats why its funny. He's says in the late 80's there was only THREE main niteclubs in Sheffield. Josephines was for the unemployed whom have their own trust funds financed by daddy. for a sugar daddy. Josephines was the smallest club and they could afford to be quite select. You were never 100% sure if the bouncers would let you in. Cairo's was a good high standard niteclub for the employed "normal people". It was a fairly large club and you had a good chance of getting in. If you were refused here then you'd go further down market and move on to Roxy's. Roxy's was basically for the unemployed from council estates. It was a MASSIVE club (easily the largest in Sheffield) and they would let anyone in. Even if you were unbelievably drunk, under age or over age you could easily blend in. If you were refused on the door at Roxy's then you knew you'd hit rock bottom. IT WOULD HAVE BEEN THE ULTIMATE INSULT. My friends and I were regulars at Josephines during the early 80's. We always aspired to joining the wine bar crowd, and would usually go up there for a while during the evening, but were never quite accepted into the click - just not blonde or bimbo-ish enough I'm afraid. There was a HUGE guy working the door (his name may have been Joe). He was about 7 feet tall, had a MASSIVE head and hands like shovels - nobody EVER messed with him. The other doorman was deaf - Alan - he was a wrestler I believe. They always greeted us with a smile and wished us a good evening. The restaurant was very good and we celebrated birthdays etc there many times. I went overseas in 1985 and didn't return to Sheffield until 1994. My friends and I headed down to Josephines for old times sake. Oh dear - what a disappointment. Although the interior hadn't changed much, the clientelle certainly had! Fat girls with tatoo's, women in cardigans, guys who looked like they'd just closed up their kebab shop and popped in for a drink. Call me a snob if you like, but even though we never quite made it into the clique, it was much nicer being surrounded by the beautiful people of the past. On my final visit, a guy I was talking to complained to me that he had no time for "ten bob millionaires" who posed around pretending to be something that they weren't. Later in the conversation he told me that he had an "apartment in the city centre". 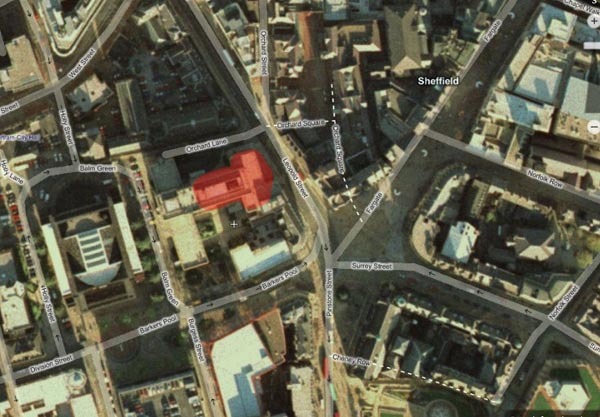 When I pressed him for the exact location of this luxury pad of his, he stated that it was opposite the BMW dealership - turned out it was one of those grotty little flats on Hawley Street! Oh how the mighty have fallen! I used to go to Josephines on a Monday night in the middle 90's. That was when they held the soul/R & B night. Suppose you got a different crowd in that night to say a Saturday night. Always had a great time in there and lots of laughs - so it holds some great memories for me. Only stopped going because I became a mum and had to grow up! ! All changed in there not long after though, so I heard, so guess I wasn't missing anything. I remember Josie's as being the first place I spent a ton on a night out! Me and my mate went in and ended up on black russians all night.... I woke up the next morning absolutely convinced that I'd lost some money somewhere, but on talking to my mate, he'd spent roughly the same so it must've been right! I was about 19/20 at the time, and the place was full of gorgeous girls.... I don't remember the rich sugar daddy types though? But hey - you only see what you want to through beer goggles! I was a regular at "Josies" 1984/87, I wasn't blonde, I wasn't from Dore or Totley and I had a job(no trust fund from daddy) It was just the best place to be, although it started to go a bit down hill late 1987/88 so we stopped going. How prevelent was prostitution in Josephines? I only ever went two or three times in 1993/4 and had no idea there were prostitutes there. Were they a regular feature of the club or were they just one offs? Hi folks, I'm new here! I found this topic both familiar and interesting! The following post is strictly my own personal opinion, and not necessarily the view of this or any other affiliated website or production!! Robbie, the under-manager (or something?) was a great guy (compassionate and funny), as were nearly all of the hardworking-underpaid-skimpily-dressed barmaids, the glass collectors and last but not least the doormen Jim (Huuuuuuge ex-boxer/pro-wrestler), little-but-rock-hard ex-pro-boxer Mick, and also Richard (deaf blonde-haired guy) ! the rock hard ex pro boxer wouldnt have been mick mills by any chance would it ????????? Just thought I would mention I saw Robbie today in town. I frequented Josie's (having to dress 'smartly' and be 'good' to be allowed in!! ) 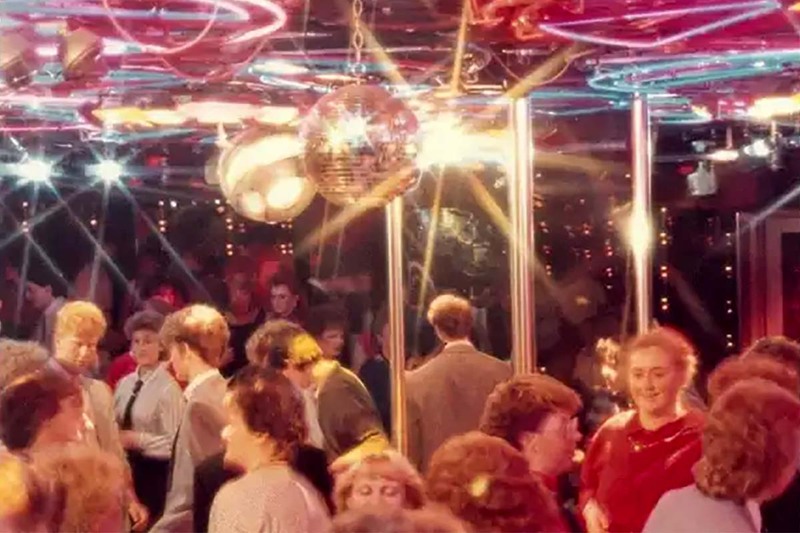 and usually enjoyed it, retro as it was musically and socially, though on Mondays- busy as a weekend- there were plenty of tarts and pimps there (factually, not vernacular), some were prostitutes. It was the best of a [largely] bad bunch though?